NOTE: Examples in this are giving from a FlashArray perspective. So mileage may vary depending on the type of array you have. The VMFS and above layer though are the same for all. This is the benefit of VMFS–it abstracts the physical layer. This is also the downside, as I will describe in these posts. I refer back to part I of this series quite a bit, so make sure to read it first, before moving on. Eagerzeroedthick (EZT) is the OG of virtual disks. Used to be the default back in the day and is still widely used. NOTE: I will focus this conversation on EZT, not zeroedthick virtual disks, but for our purposes they are basically the same. The only space difference is eager writes zeroes first instead as needed. On a zero-removing array this difference therefore is irrelevant. Unlike thin virtual disks, EZT disk are not particularly flexible. But they do have one primary benefit–performance. Thin virtual disks only allocate space when needed. When a new writes comes in from a VM, the VMDK file is expanded on the VMFS and that block is then zeroed out (using WRITE SAME). Then the write is committed. This happens every time a new block is written to. Once that block has been written to that process does not need to be repeated. Eagerzeroedthick gets that allocation penalty out of the way upon its creation. When you create a EZT disk, the whole potential capacity of the virtual disk is allocated on the VMFS and it is also fully zeroed out before it can be used at all by a guest. This means that new write latency penalty is not a factor for EZT. Though it does mean it takes longer to create. While this performance difference is small, it is non-zero. So for applications that are super sensitive to latency (I need .3 ms, not .7), EZT is the safe bet. Anyways, the point of this post is capacity. So let’s look at that. Now let’s create a 40 GB EZT disk. This is because even though it writes a bunch of zeroes, that all gets discarded by data reduction. 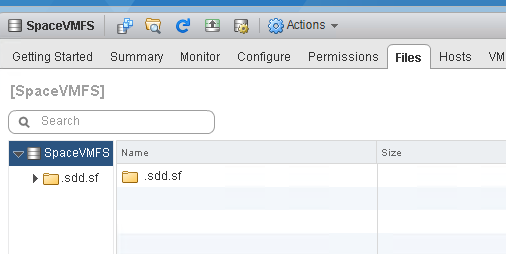 So to summarize–we have 0 GB used in the VM, 40 GB used in VMFS and 0 GB used on the FlashArray. This is the natural state of EZT. So let’s add some data. 20 GB of it. I will use VDBench to write out a 20 GB file of non-zero data. EZT will always report as the size they were created as–regardless to the fact that it is only half-full. About 3 GB. Even though 20 GB were written, the FlashArray reduced this to 3 GB. 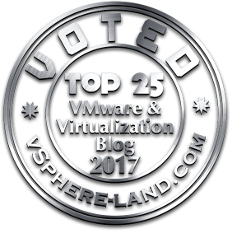 We now have 20 GB used in the VM, 40 GB used on the VMFS and 3 GB used. With EZT disks, it doesn’t really matter how much you write from a VMFS perspective. The space is always reserved. From a FlashArray perspective it looks no different from a thin virtual disk. You might not have a FlashArray, or some other array that automatically removes zeroes. You might have an array that simply can’t. Or you might have an array that can remove contiguous zeroes when requested. So on the array side, your mileage may vary. If your array does not remove zeroes, you would be in a 40 GB/40 GB/40 GB situation which makes things a bit harder to figure out when something was written to. Once again, this stresses the importance of understanding how your array stores data. What happens when you delete data in the VM on a file system on a EZT virtual disk? So the NTFS says 0 GB, VMFS says 40 GB and the array says 3 GB. VMFS reports how much has been allocated. With EZT, allocated always equals the size of the virtual disk. How do we reclaim this? Well, unlike thin virtual disks, UNMAP is not an option. A simple way to prove this out in Windows is to use the Optimize Drives tool. My E: drive which is my EZT disk, is not reported as thinly-provisioned. So Windows will not issue UNMAP to it. For other OSes, or really anything, you can check the VPD page for logical block provisioning. If the UNMAP support is listed as 0, it does not support UNMAP. So we are left with zeroing. To reclaim the space on the array, we need to essentially bypass VMware. If your array is zero-aware, this is the easiest option in the case of EZT disks. So I just deleted my 20 GB of data from my NTFS, so I need my array under that to reflect it. UNMAP doesn’t work here, so I zero. 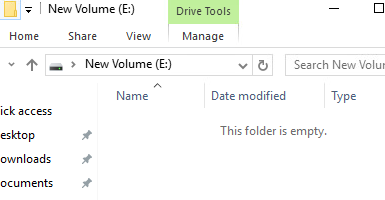 So in my Windows example, sDelete is my friend. This will zero out all of the free space on the VMDK. There is no “bloat” penalty, unlike thin, because, hey–the virtual disk is already bloated to its full size. We are back to our original 0 GB on NTFS, 40 GB on VMFS and 0 GB on the FlashArray. The last thing is deleting an eagerzeroedthick virtual disk. 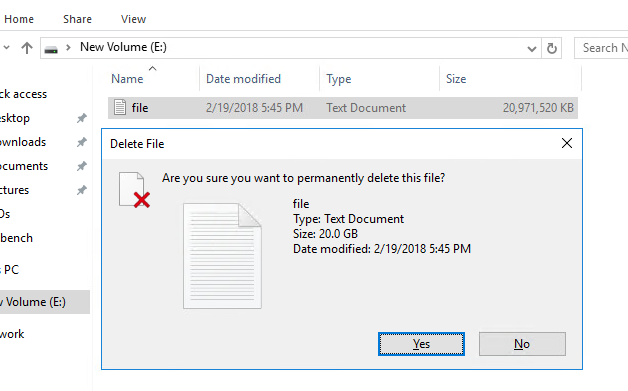 When you delete an EZT disk, it is removed from the VM and also off of the VMFS. So no disk in the VM, 0 GB used on VMFS and 3 GB used on the array. So 3 GB of dead space. So space account is a bit more difficult with eagerzeroedthick or zeroedthick disks, because it is must harder to tell if there is dead space in the guest itself. Since the VMDK size doesn’t report on what it thinks is written, there is nothing to really compare what the guest knows is written to. Especially when there is more than one VMDK on the datastore. Look for the next post on conclusion thoughts on VMFS and capacity reporting. So let’s add some data. 20 GB of it. I will use VDBench to write out a 40 GB file of non-zero data. Did you really mean it will write out a 20 GB file of non-zero data? I like the blogs. I am getting a lot of useful information on thin/thick and what Pure is doing in the background.